Is hot ginger ale a thing? In Japan, it apparently will be—or wants to be. Whichever. This fall, Coca-Cola Japan is rolling out cans of "hot" Canada Dry Ginger Ale. That's right, they've figured out how to can warm carbonated drinks—something that took four years of research. Hot (well, warm) canned drinks are not new to Japan, but they are typically hot tea or hot canned coffee. MyNavi says this is the first time Coca-Cola has released a heated carbonated beverage (on purpose!). The drink has ginger extract as well as apple and cinnamon flavoring. 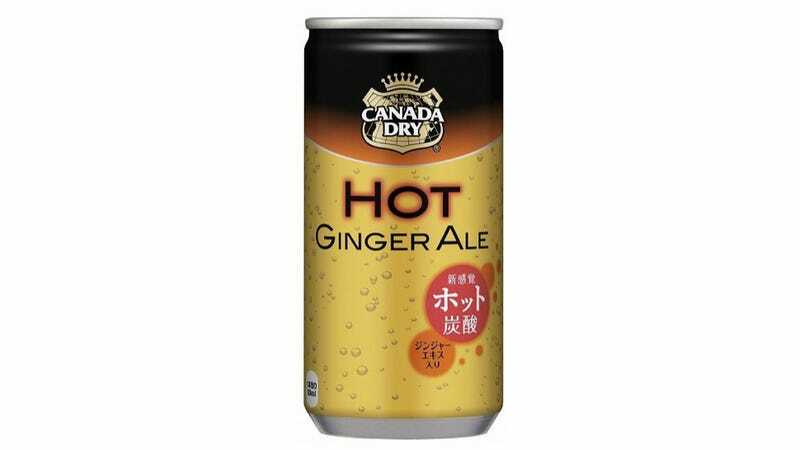 According to IT Media, Canada Dry Hot Ginger Ale goes on sale in Japan on October 21 at convenience stores and vending machines. For those who can't wait until then, leave a few cans out in the sun. You get the idea. I've never had hot ginger ale. Hot Dr Pepper, yes. Hot ginger ale, nope.